It was only last summer that Apple CEO Tim Cook declared his vision for a company that lasts one thousand years. But Cook’s far-reaching calendar already seems to be in trouble, with an ever-growing list of rivals and weaknesses threatening to undermine the Apple empire. Google’s homebuilt Pixel phones are innovating where iPhone stagnates. Microsoft is now building PCs and tablets that turn more heads than the Mac and iPad. Amazon’s Alexa virtual assistant and Echo device are poised to own the nascent smarthome market before Apple’s competing HomeKit really builds any momentum. Meanwhile, Apple’s biggest fans worry that the company is losing focus, building iterative and inelegant new hardware rather than the highly-polished and groundbreaking products that the company made its name on. And impatience for new iPhones, the mysterious “Apple Car,” or even the reported Apple smart glasses runs rampant. That’s not a very reassuring situation for a company with such a long-term ambition. And with only a few years under his belt as CEO of Apple, Cook still has a lot to prove. But while everybody freaks out over the idea that Apple has lost its mojo, it’s worth stepping back and look at some of the things the company has already done to safeguard its future. It may not be enough to last a millennia, but there’s reason to be optimistic that Apple isn’t flying blindly into the future. In the short term, Apple is easing up on its infamous “Apple tax,” lowering prices for its products in a bid to reach a bigger audience. 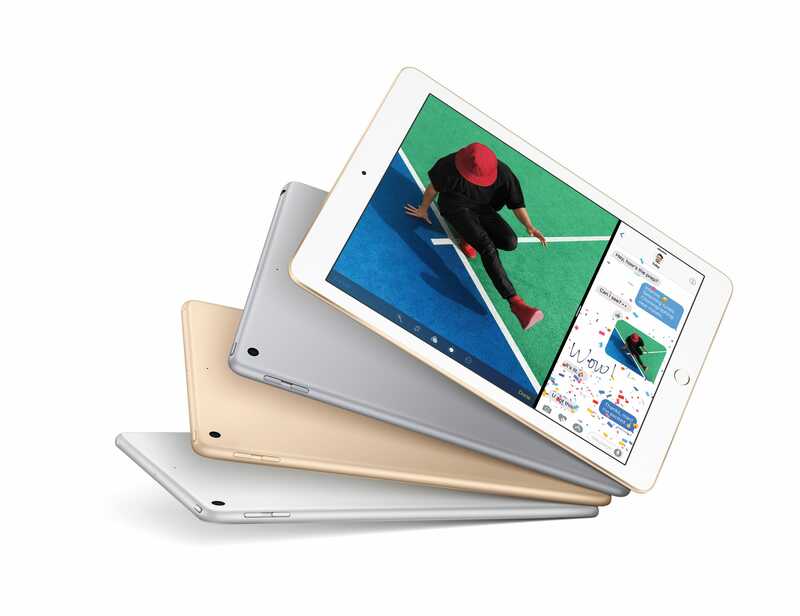 Just this week, for instance, Apple revealed a new low-cost iPad and it upgraded its least-expensive iPhone model, reflecting Apple’s desire to fight Android in terms of price, not just features. That cheaper iPad is great for consumers, but it could also give Apple a new and more stable foothold in classrooms, too. And speaking of classrooms, that’s a major push for Apple, too. Cook has said on multiple occassions that he wants Swift, Apple’s homegrown programming language, to be the main way that kids get into programming. Because while Swift can theoretically be used to build software for any gadgetry, it’s best on iPhone and Mac. In other words, Apple’s short-term play is pretty straightforward. Get as many people using Apple technology as possible, with a special focus on starting them when they’re young and keeping them hooked. The most important thing to remember about Apple is that its number-one priority is to sell more iPhones. Everything from iMessage to the AirPods are designed to get you onto an iPhone and keep you from moving to Android. That’s not going to change in the short term, for the very simple reason that, despite the early success of gadgets like the Amazon Echo, the smartphone is still the best balance between portability and power available today. 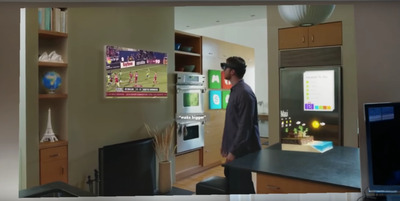 MicrosoftMicrosoft believes that devices like its HoloLens can one day replace every screen in your home by projecting the images into your eyes. But the smartphone’s supremacy won’t last forever. Many people, including Cook himself, believe the next step is augmented reality (AR), where headsets project images into your field of vision. Notably, Microsoft believes AR makes smartphones obsolete. Why carry a phone when all the information you need is beamed straight into your eyes? Companies like Microsoft, Magic Leap, and Google are all trying to take advantage of this forthcoming shift in hopes of conquering the next market before Apple can even get started. And make no mistake, this has Apple on the defensive. Beyond any single Android device, it’s a gigantic existential threat to the whole idea of the iPhone, the product on which Apple’s tremendous valuation hinges. So Apple fans and shareholders should feel some relief that Cook is making some savvy moves of his own. Apple has already been quietly, but surely, building out its big play for the future. If the advantage of augmented reality is that you don’t need to look at your phone to get the information you need, then Apple actually has that covered: The Apple Watch presents contextual alerts on your wrist, while the wireless AirPods put the Siri virtual assistant straight into your ear. It’s not as flashy as holograms and other augmented reality trickery. But with Magic Leap and Microsoft both struggling to get their advanced AR headsets out the door to a wide audience, there’s something to be said for Apple focusing on tech that’s ready to be used in real life, here, today. Besides, Apple is said to be working on its own smart glasses, similar in theory to Google Glass, that would fill in that missing visual component. Importantly, all of these Apple products must be synced to an iPhone to be their best. That provides an important bridge between old and new, giving customers a familiar product experience as they try the next new thing, and smoothing out the financial transitions as Apple’s business moves from one product to another. If and when Apple ever releases its rumoured Siri-powered, Amazon Echo-style smart speaker, expect that to need an iPhone connection, too, likely using its homegrown W1 long-range Bluetooth chip. One day, perhaps, Apple will move beyond the iPhone and stop relying on it as the center of this connected world. At that point, the company will likely turn to iCloud and other Apple services which can provide the connective tissue to keep new generations of Apple gadgets in sync — no iPhone required. The strategy is the same as it’s always been for Apple, which is getting people to buy into not just one product, but a whole (not inexpensive) ecosystem of its products. And only its products. Apple is a lifestyle brand as much as it is a technology company. YouTube/EveryAppleAdA lot of Apple’s strength has been in making new technologies seem cool and desirable. Apple understands that no individual product is eternal. And that’s the secret to its far-reaching vision for the company. Even as newfangled products and technologies seem poised to end the iPhone’s reign, Apple is already laying a subtle but strong foundation that will keep consumers tied to its ecosystem for many years to come. If you’re planning a company to last a thousand years, that’s what you’d call a pretty good start.